I am still quite unsure how to introduce these weekly collections of links. What do cyberpunk cat-like whiskers for humans, fablabs, a psychopathic A.I. with disturbing Rorschach tests results, infrared macro photography of cactuses, and most-potent-magic-mushrooms trip reports have in common? You tell me. 👩‍💻 Cyberpunk is not about dark future and noir aesthetic. It can be also be cute and fun! 👨‍💻 Fablabs are at the forefront on how to collect data for citizen action. A key tool for smart city projects. How Barcelona shushed noise-makers with sensors. While the finality of the project might be questionnable, it is still remarkable how data can be used by citizens for a change. 📸 I published a series on anger. They are all analog photographies, without any editing. 🔐 A worrying thread on reddit for anybody traveling to some parts of China near the Uyghur population: Chinese border police install software on a traveller’s Android device. 🔑👩‍💻 Pinar Yanardag, Manuel Cebrian, and Iyad Rahwan , all working at the MIT Media Lab, created an image-captioning AI and fed it with gore images from a subreddit. Once trained, they asked it to caption Rorschach inkblots and compared the results from a standard AI. Results are a bit disturbing! 🔑 An interesting idea and point of view by Paul Stamets: “Plants and mushrooms have intelligence, and they want us to take care of the environment, and so they communicate that to us in a way we can understand.” Why us? “We humans are the most populous bipedal organisms walking around, so some plants and fungi are especially interested in enlisting our support. Michael Pollan on what it’s like to trip on the most potent magic mushroom. 📸 Suprachromacy is a project by Marcus Wendt who used infrared macro photography of cacti to create images questioning our own sense of perception. ℹ️ The cool people at ThePudding ask this question: Are Hit Songs Becoming Less Musically Diverse? and answer with a hell lot of data. Last year, they were also ranking rappers by their vocabulary. 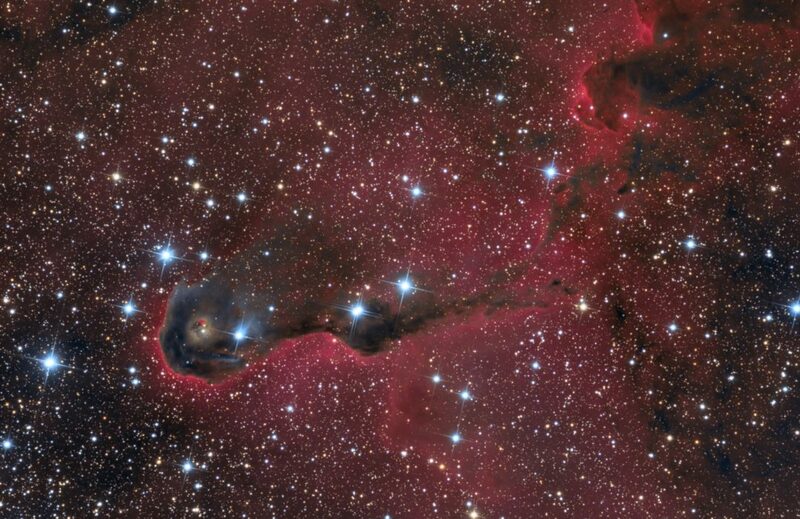 Image Credit: The Elephant’s Trunk Nebula in Cepheus by Stephen Leshin.